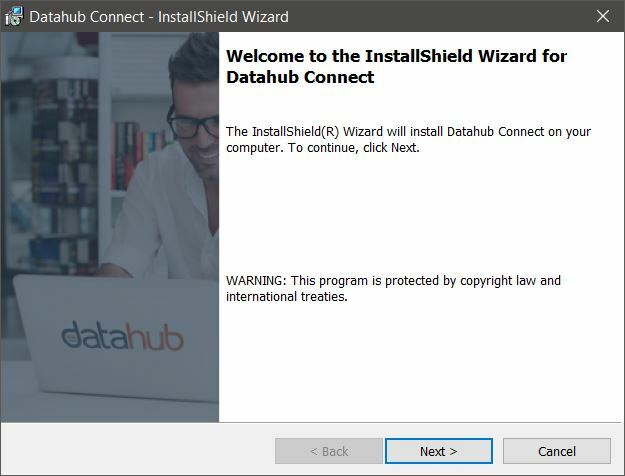 datahub Connect is a Set of Microsoft Add-Ins that allow users to interact with their survey and report data directly from Office tools such as Excel, Power point and Word. 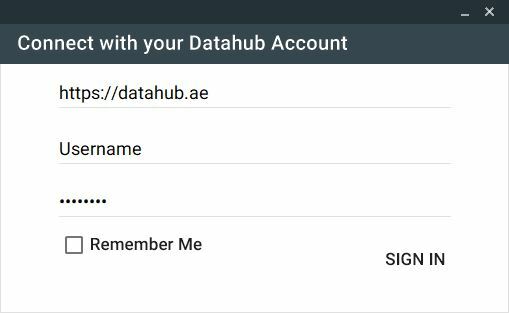 To get started with Datahub Connect Download the addon package from the downloads page. After the successful installation, If you start either Microsoft Excel, Power-Point of Word you will be able to see a new tab has been added to your Menu Ribbon. 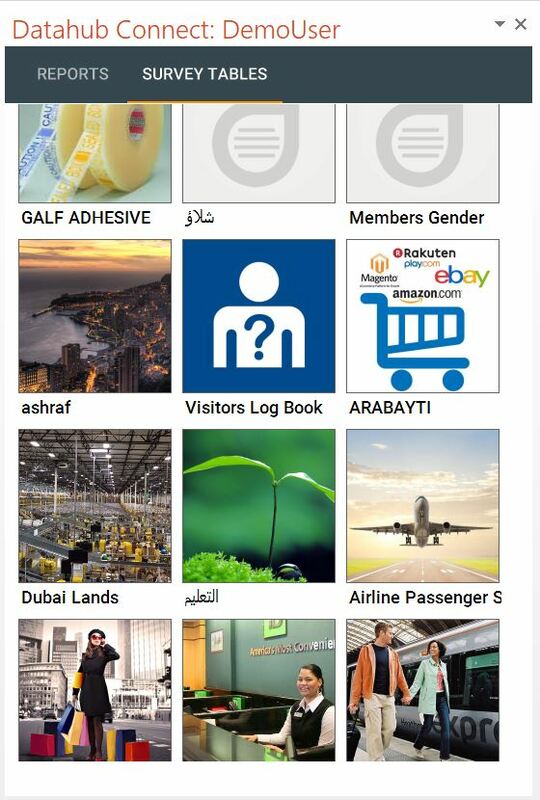 After the successful sign-in, a side bar will open and you will notice the Icons in the ribbon are also changed. Click on your desired report’s or survey’s tile to pull the data directly to your Excel Workbook, Presentation or Word document. The process may take several minutes depending upon the internet speed and volume of data in the report.